Morgan Williams-Bryant, ’03, believes the path to success is never straight. “If you asked my 18-year-old self what I wanted to do after college, I would have said ‘television station producer,’” said Williams-Bryant, who is a senior vice president for the Girl Scouts of Western New York (GSWNY). A native of Buffalo, NY, Williams-Bryant had the option of leaving the city when it came time to go to college. She ended up “falling in love” with Buffalo State during her first year, and stayed for another three to earn a bachelor’s degree in communication with a concentration in broadcast journalism. Williams-Bryant didn’t get much downtime as a student. “I always tell students that college is what you make it. Getting involved made my Buffalo State experience positive and worthwhile,” said Williams-Bryant, who was a resident assistant, an orientation leader, a Nurturing Initiative and Achievement (N.I.A.) mentor for incoming students, and a member of the S.P.i.R.I.T. Gospel Choir and served as hospitality chair and president. She advises students not to lose sight of the ultimate goal of a college education. 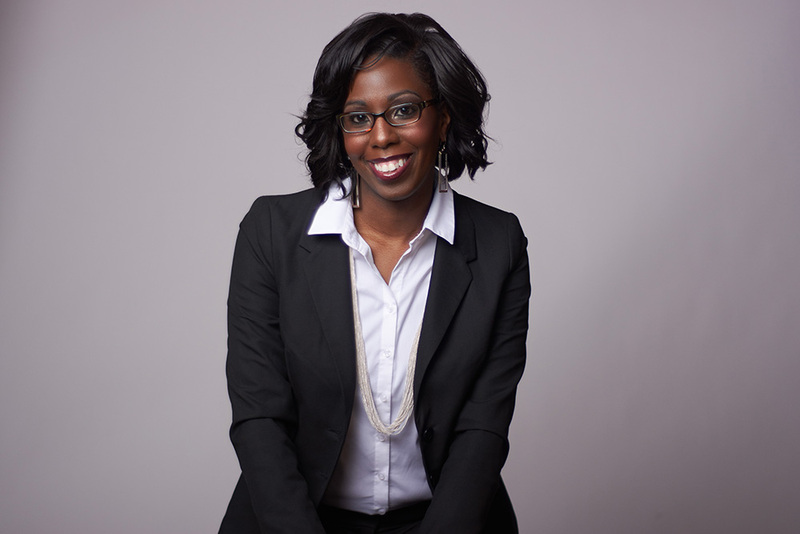 “Leadership experiences and having fun are important, but don’t lose focus and remember why you are here—to get good grades and to graduate.” Although she envisioned herself behind the scenes of a broadcast news segment after graduating, Williams-Bryant discovered how to leverage her degree to advance women’s and youth empowerment, one of her long-time passions. After graduating from Buffalo State, Williams-Bryant earned master’s degree in organizational leadership. She was the director of the Youth Services Department for the Community Action Organization and deputy commissioner of Youth Services for Erie County before joining the GSWNY as senior vice president in 2014. “My communications degree helps me in my career every day: whether I’m writing, speaking in front of an audience, or communicating with different types of people—from children to adults,” said Williams-Bryant, who oversees community engagement and member services for the GSWNY. According to Williams-Bryant, her team is responsible for developing and implementing new programs across nine counties. The department also focuses on the recruitment, training, and retention of youth and adult members who serve as members, troop leaders, and volunteers. “It’s much more than cookies and campfires. Our mission is to build girls of courage, confidence, and character to make the world a better place,” said Williams-Bryant. “This positive impact doesn’t just improve Girl Scouts’ lives, it improves the lives of their parents, their siblings, and their neighbors.” For Williams-Bryant, staying busy continues to be a way of life. In 2011 she started her own business, MWB Consulting Services, through which she conducts speaking engagements, program assessment and development, career coaching, and professional/team-building workshops.“My passion has always been to motivate people. My approach to my career and life is to lift others as I climb,” she said. While Williams-Bryant has consulted for companies and teams large and small, she advises her clients that the key to success is staying true to yourself and realizing a worthwhile journey is never direct or easy. She adds she stays grounded by her faith, personal values, mission and vision statement.